When you are looking into marketing your local business, it is extremely important that you use every available marketing option. 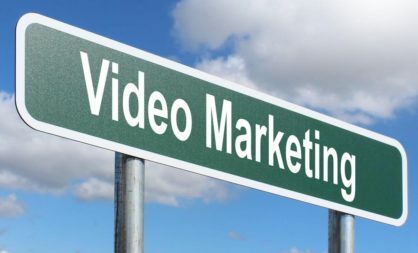 Video Marketing is just one of the options we use and it is the perfect tool to help boost your sales. Many small companies overlook video marketing as a viable option due to fear or the unknown cost. However you need to know that Video Marketing is not as expensive as Pay-Per-Click Marketing. And while it may not be something you know a lot about, this short article will help you understand why you need to make it a part of your business marketing plan. There is no need to purchase the most expensive video equipment. We do all the video production for you! These will be videos which contain valuable information, videos people will watch! Take a look at just a few of thousands of videos we’ve created for our clients. By the way, that smart phone in your hand shoots HD video! You have almost everything you need to start marketing your company. But that’s another story. We are here to help potential customers find your your company by using the perfect search keywords. We market your YouTube channel, (You have a company YouTube Channel right?) by creating the best descriptions for every one of your videos, then we embed those videos on your Website or blog. By researching strong keywords in advance, we will already know what your potential customers are likely to use when searching for topics related to your business. Still not convinced that Video Marketing is right for you? Let’s take a look at a few stats. Internet video streaming and downloads will grow to more than 80% of all consumer Internet traffic in 2019. Almost 50% of internet users look for videos related to a product or service. Mobile video consumption grows by 100% every year. 59% of executives say if both text and video are available on the same topic, they are more likely to watch the video. 52% of marketers believe that video is effective for brand awareness. 43% of marketers said they’d create more video content if there were no obstacles like time, resources, and budget. Okay enough statistics! Allow us to show you the how our services can benefit your company! Give is a call!